Chauri Chaura is a small town in Gorakhpur district in the state of Uttar Pradesh, India. 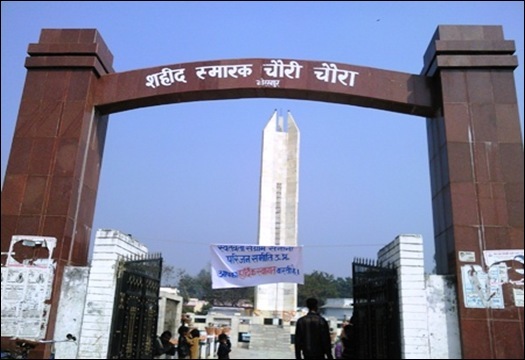 History students remember this place for its famous Chauri Chaura Incident which took place on 4th of February 1922. It is also known for its Dal and Gud (Pulses and Jaggery) Mandi. There is a big leather market too, known as Chamadahiya Bazaar (Leather Market) to supply hide (Khal or raw leather) to markets as far away as Kanpur and Calcutta.Chauri Chaura witnessed the historical incident during 1922 after which Mahatma Gandhi was shocked and withdrew his year old ASAHAYOGA ANDOLAN (Non Co-operation movement). Several freedom fighters were hanged by the British Government of that period and several others were sentenced to the cellular jail on the Andaman Islands, known as Kala Pani(Black waters). SHAHID AMIN, a professor of history at University of Delhi, who hails from Deoria (15 miles from Chauri Chaura), has written a famous book on Chauri Chaura titled "Event, Metaphor, Memory: Chauri Chaura 1922-1992" published by University of California Press. This book has complete details regarding the Chauri Chaura incident.Chauri Chaura is a Tehsil comprising of Sardar Nagar and Brahmpur blocks. Chauri Chaura has a population of 3,84,335 comprising 194833 males and 189502 females. Chauri Chaura tehsil's urban population is only 11,228. Most of the urban population is in Mundera Bazar (also shown in old maps as Murera). Chauri Chaura, being tehsil headquarters, caters for most of the needs of people residing in neighboring villages as far as 10-15 kilometers. It also serves as a ready market for agriculture and craft product of the area. Nearby attractions in Chauri Chaura include the famous Tarkulaha Devi Temple. There is a month long mela (funfair) every year starting from Chaitra Ramnavami at the Tarkulaha Devi Temple. People from far flung locations visit ‘Tarkulaha Mela’ to shop for their annual requirements of Garam Masala (Indian Spices) and to enjoy the traditional ‘Nautanki’ (drama), Nag Kanya shows and small circuses. Also, Tarkulaha Devi Temple was Shaheed Bandhu Singh's favourite place. People here are peace loving and courteous. Majority of urban population is from the business community with a mix of Marwaris (migrated from Rajasthan) and Deswalis (local Vaishya community), with a very small number of Punjabi community. Several other people like teachers, doctors and government employees have made Chauri Chaura their residence due to its being the only urban hub for more than 200 villages; with facilities like Schools, Colleges, Railway Station, Tehsil Headquarters, Banks and Postoffice etc. One can find people from all religions like Hinduism, Islam, Sikhism, Jainism and Christianity living peacefully in Chauri Chaura. 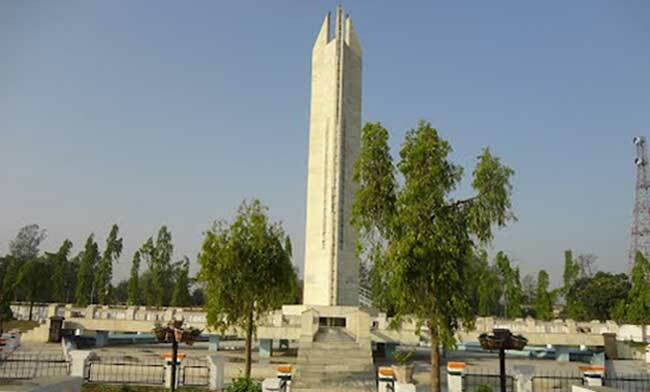 Chauri Chaura was able to get the road connecting Gorakhpur to Deoria widened and re-made due to its close proximity to the famous Buddha circuit ( Buddha Paripath) comprising of Naugarh (Kapilvastu), Sarnath, Bodh Gaya and Kushi Nagar.